Thirty-second Sunday in Ordinary Time, Year B (November 11, 2018): How much do you trust God? 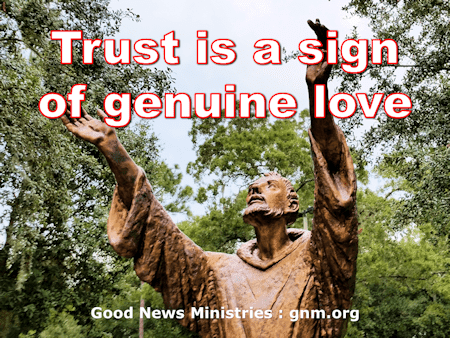 Good News Reflection: How much do you trust God? 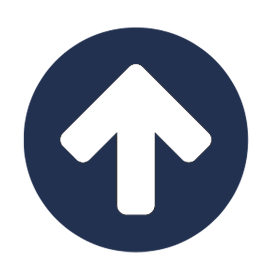 Following Jesus requires a tremendous amount of trust, because he often takes us to unexpected places that require new growth, difficult sacrifices, and moving beyond the boundaries of what’s familiar and comfortable. Consider the two widows in this Sunday’s first reading and the Gospel reading. How could they give what common sense says they could not afford? Did they know with total certainty that God would take care of their needs? No. So they gave all they had because they were so in love with God that they trusted his love for them. Trust is a sign of genuine love — especially when the one we trust is God. We can love others more freely and generously if we trust God to help us through the difficulties that occur when people prove themselves untrustworthy. Our freedom to love others unconditionally is not based upon how safe we are with them; it’s based on how safe we are with God. Each widow gave what she could not afford to lose. We cannot afford to love those who will cause us grief and disappointment and feelings of rejection, and yet Jesus tells us to forgive them and do good to them and go the extra mile for them. Sometimes doing good to those who are difficult to love must include “tough love”, which asserts boundaries that they are not allowed to cross. Remember what Jesus did: Until Good Friday, Jesus always walked away from his persecutors. Did he give up on them? Did he stop loving them? Not at all. Following Christ means that we have to watch for and trust God’s timing on speaking up versus walking away. Sometimes doing good to those who are difficult to love must include enabling them to reap what they sow so that they begin to understand their need to repent. Instead of cleaning up their messes, we have to let them suffer from it. Think about it: Does God clean up our messes before we repent? Usually he won’t even do that after we repent. What would we learn if someone else does the damage control? Loving others always includes sacrificing ourselves and relying on God to comfort us, heal us, restore us, and bless us. We can trust God for this. Our jar of whatever we pour out to others for the sake of love will never go empty. Jesus cares about you much more than anyone else can. Are you willing to look to him for the fullness of love that you need? What makes you feel unsafe with God? What needs healing or correction in your thinking so that you sit on Daddy-God’s lap and feel secure and fully loved? Describe a time when you gave more than you thought you could give: more money, more love, more time, more patience — more of anything. What motivated you to be so generous? What were the end results? What did you learn from it? My Lord: Give me the grace of trusting You completely and above everything. Then I will learn what love means. Amen. Saturday of the Thirtieth Week in Ordinary Time (November 3, 2018): Will you do more from heaven?